I heist, you heist, we all heist together. PAYDAY 2 has an official release date on PC, and it's actually the release date the game has had all along. The four player co-op heist simulator will launch on August 13th on Steam with the Xbox 360 and PlayStation 3 versions launching shortly after. The game is currently in a closed beta on Steam with the team actively listening to player feedback and tweaking. We were incredibly surprised and impressed by PAYDAY 2 when we saw it at E3 earlier this year, so much so, we awarded it our Co-Op Game of the Show. 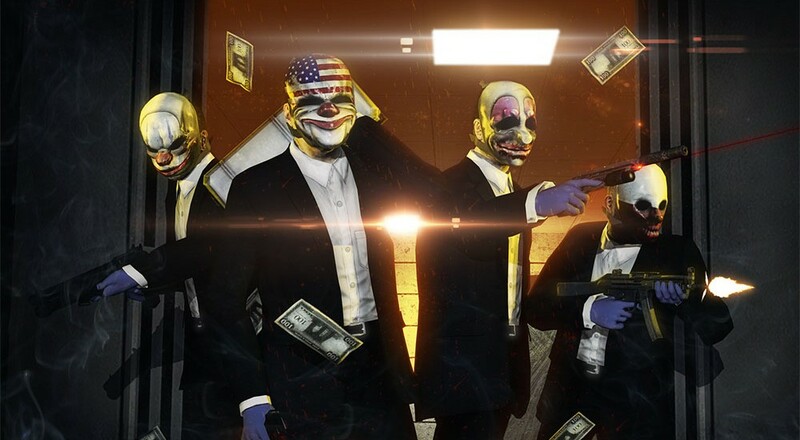 PAYDAY 2 features four player online co-op on all systems. Unlike the previous game PAYDAY 2 is a full retail title due to the sheer size and scope of the game. Don't worry though, that doesn't mean it'll cost you $60. Right now Amazon lists the price at $40 for the console versions and the PC version is listed on Steam for $30 with a co-op friendly four pack available for $90. Whatever system you're planning on picking PAYDAY 2 up on, you won't have to wait long. In the meantime check out the latest video which talks about the dynamic nature of the maps and missions.